Dr. Cary Gentry is currently the only Doctor of Chiropractic to be Certified Advanced Proficiency in Torque Release Technique (TRT) in the state of Montana. Torque Release Technique (TRT) has been proven through research to be the most specific, scientific, and reproducible technique in chiropractic today. TRT focuses explicitly on the complex relationship between the nervous-system and overall well-being. The “Brain Reward Cascade” is a scientific model that provides an understanding of the neurophysiological mechanisms of how the brain, specifically the meso-limbic system, expresses a state of well-being. Restoration of this system is proven through extensive research published in one of the most respected psychiatric journals which showed dramatically increased success in reducing anxiety and depression levels, permanent relief from present-day health issues, and improved measurements of overall health and well-being. The Food and Drug Administration (FDA) has approved the use of the chiropractic term “subluxation” twice in history; once for the use in Medicare, and once for approval of the first chiropractic instrument which has revolutionize the profession. This instrument, called the Integrator, is the primary tool utilized for removal of subluxation in Torque Release Technique. Waypoint Chiropractic will pair the Integrator instrument with Torque Release Technique to yield these desired results. 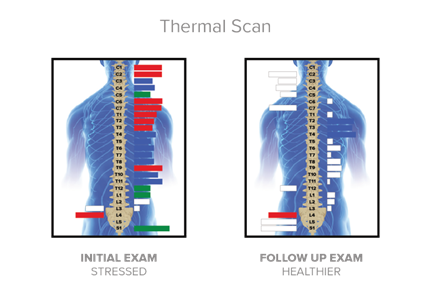 The aim of Torque Release Technique is to correct spinal misalignments at a neurological level providing a gentle approach. TRT allows the spine to be adjusted in a neutral position with pinpoint accuracy and minimal force. This allows patients of any age to receive the most gentle, specific adjustment without the dreaded twisting, popping, or cracking sound of traditional chiropractic. Torque Release care allows for even faster and more sustainable results. We live in a world where the journey to health can be confusing. We have great medical care in our country and very glad we do for emergency health situations. For example, if we have a major accident we can rest assured the best care possible will be at our fingertips to put us back together. This care although amazing and essential is “sick care” centric, to take care of us when we are sick or injured! We believe that we have an innate ability to heal and function as a gift from our creator. True “health care” focuses on building our body’s ability to function at its very best, and should be the first line of defense. This allows our bodies the ability to fight off most of the daily health challenges that we face. The textbook Greys Anatomy states the Central Nervous System is the master control system of the body. Chiropractic is focused on removing interference in the nervous system allowing it to function at its optimal potential. This correlates to increased immune and proper organ function, greater focus and energy, proper movement, and decreased pain and symptoms. © 2019 Waypoint Chiropractic. All rights reserved.